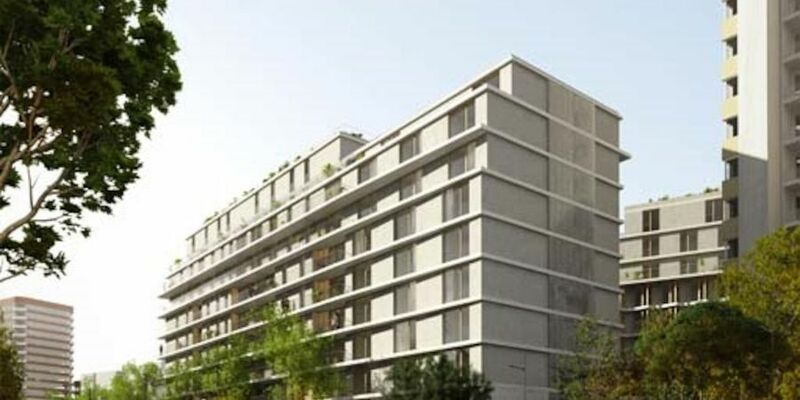 The residence Paris Curial, open for the fall of 2018, is ideally located in the 19th arrondissement of Paris. It is close to shops, universities and schools, museums and public transport. This allows you to fully enjoy Parisian student life. For entertainment, you can go to the Vill'up Recreation Center or go to see shows, concerts and exhibitions. You can also go to the La Géode cinema, in the Parc de la Villette for a walk or a picnic in the summer. The residence Paris Curial is easily accessible: it is close to bus stations, metro line 7, tram and RER E.
Shops and local shops are located a few tens of meters from the residence. The residence offers 155 apartments (studios and T2) furnished, comfortable and pretty with access to free wifi. The residence Paris Curial is perfectly secured thanks to a system of video surveillance and an intercom.